NXT filmed another chunk of television shows a few days after NXT TakeOver: New York. During those shows we will finally see the NXT debut of Kushida. If you’d like to read our entire NXT television taping live results you can click here. Kushida is a six-time IWGP Junior Heavyweight Champion and surprised a lot of people when he decided to sign with WWE. He’s been in Orlando for months and finally made his first appearance during TakeOver: New York. Now he is getting a chance to perform at Full Sail Arena. Kassius Ohno had the pleasure of being Kushida’s first opponent in NXT. 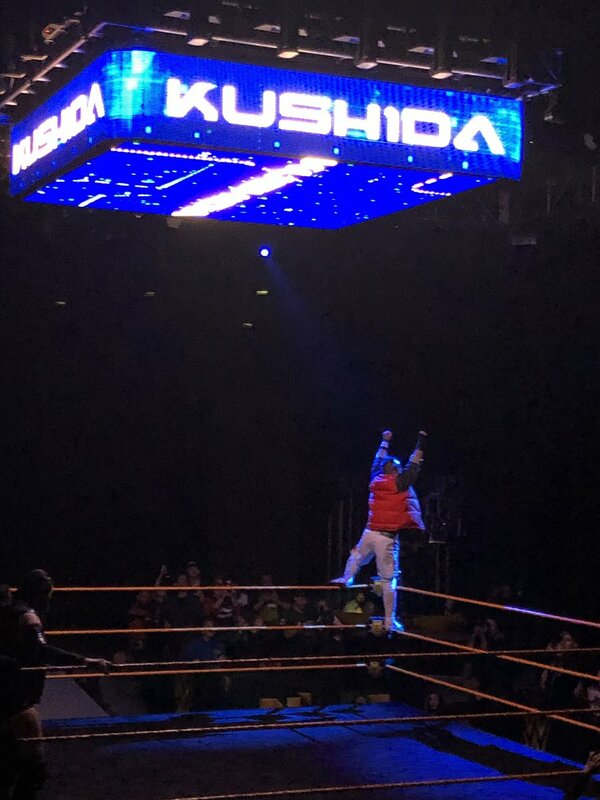 Kushida won his debut match and yes, they let him keep his orange vest as well which you can see in the photos below.